The Martha Stewart Living 3 in. Soft Iron Bookend Pull is intended for use on your home's cabinetry. This bookend pull is made of metal and has a soft-iron finish. The pull is designed for easy installation. The Liberty 3inch Classic Square cup pull is the perfect touch to a wide variety of styles in cabinetry. The classic but sleek square design in the Satin Nickel finish can make any room look casual but updated. The cup pull is constructed with zinc for long lasting durability. The Martha Stewart Living 3 in. Bedford Brass Awning Cup Pull is designed to complement a variety of decor styles. The pull is crafted with die-cast zinc for strength and comes in a Bedford brass finish for aesthetic appeal. Fasteners are included for easy installation. 3 in. Bookend Pull The Martha Stewart Living 3 in. 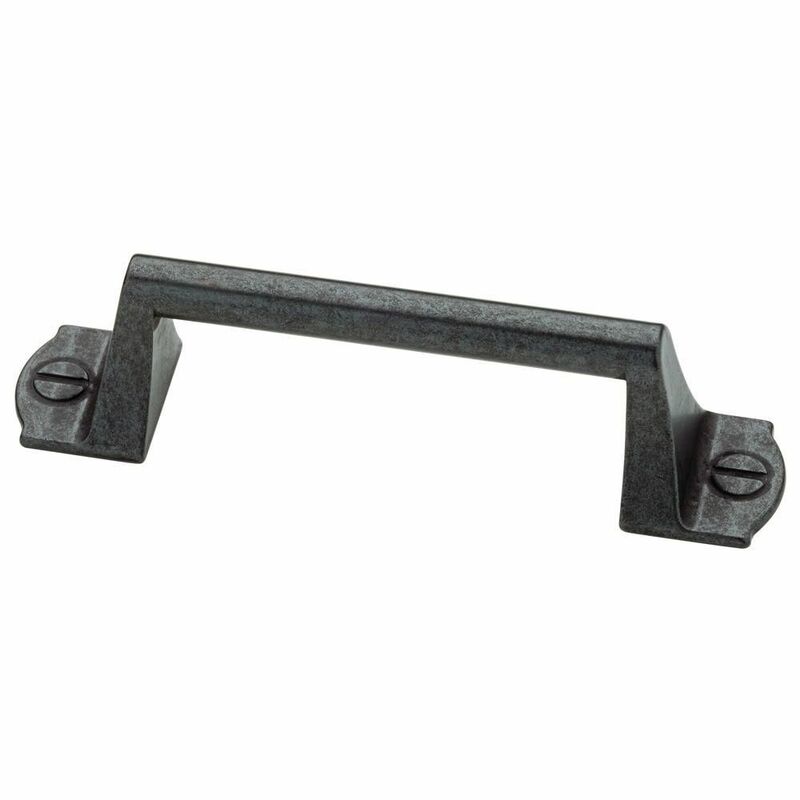 Soft Iron Bookend Pull is intended for use on your home's cabinetry. This bookend pull is made of metal and has a soft-iron finish. The pull is designed for easy installation. 3 in. Bookend Pull is rated 4.6 out of 5 by 22. Rated 5 out of 5 by Denise from I ordered a few different drawer and cabinet pulls and... I ordered a few different drawer and cabinet pulls and tried them out in my kitchen. These o es by Martha Stewart Living not only looked the best but they were the comfortable to hold and pull. Rated 5 out of 5 by Tracy from Love them in the room. Two lengths of screws were... Love them in the room. Two lengths of screws were provided as well! Rated 5 out of 5 by Erik from Look and work great!... Look and work great! Rated 5 out of 5 by CaptBrent from These handles are perfect. I bought another set of handles at Home Depot that were half the pric... These handles are perfect. I bought another set of handles at Home Depot that were half the price but looked okay on the web. They were supposed to be on 3" centers but were on 2 7/8" centers...that poorly made. They were cheaply cast, at best, and looked like they were sand cast...no two quite exact, hollow where it doesn't show, lightweight to use the least materials, screw holes were actually built up, almost no surrounding material, was sure they'd crack with use. I returned them. I wasn't going to drill out a 100 year old oak piece of furniture to accommodate junk so I took a chance and bought these Martha Stewart pulls instead for twice the price. Glad I did! These pulls are finally made, the screw holes are precisely 3" c-to-c, the holes are drilled and tapped into solid cast metal, pulls come with a long and short screw just in case, each handle is heavy solid metal, no cavities or empty spaces to reduce shipping weight and manufacturing expense...as well as structural integrity. These will last the next 100 years of this antiques lifetime. If you're looking for quality pulls of this type, this is it. Couldn't be happier. Attached is the photo of my 1800s map chest, fully restored.